There’s a Ferrero emporium in the heart of Westfield, White City. Ferrero Rocher: Behind the Layers is set over two opulent floors in Westfield featuring Prosecco, cocktails (inspired by the flavours of Ferrero) and mini desserts representing the five layers of the Ferrero Rocher. 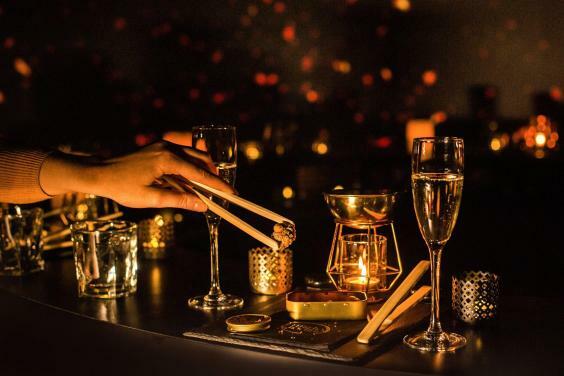 Starting on entry to the golden bar and lounge, visitors will discover a delectable drinks menu created by mixology maestros, Liquid Chefs. Guests will then be invited to take their seats for the show-stopping, multi-sensory Ferrero Rocher: Behind the Layers experience. This is a ticketed event and it is advisable to book in advance. In a spectacular setting that changes with every exquisite mouthful, five delicious mini-desserts will be hand-made in front of visitors’ eyes, each one inspired by the iconic layers of whole hazelnut, smooth chocolate, crispy wafer, hazelnut pieces and glittering gold. Developed by celebrated chef and gastronomic mastermind, Paul Hannagen, each will honour the unique combinations that make a Ferrero Rocher. 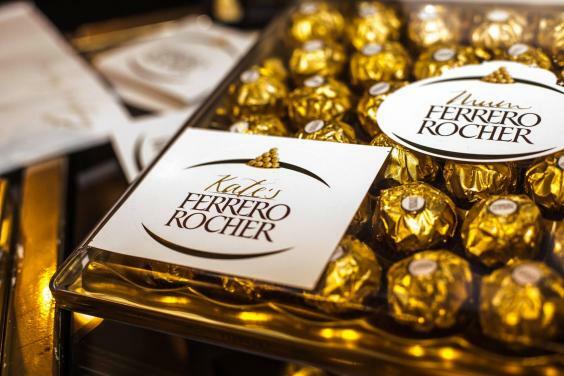 Visitors are also able to purchase Ferrero Rocher from the on-site shop, beautifully presented with personalised calligraphy labels created by hand while they wait. The bar is also be open to all, so even those that do not have tickets can still enjoy a uniquely delicious Ferrero Rocher experience this Festive season. 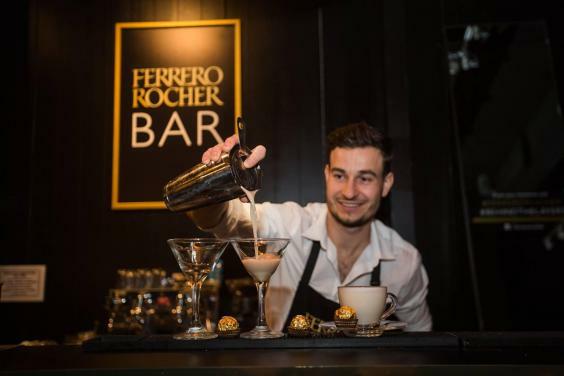 Ferrero 360 Immersive Experience runs until 17 December and is located at 1st Floor (between Clarks and Aldo), Westfield London, Ariel Way, Shepherds Bush, London, W12 7GF.